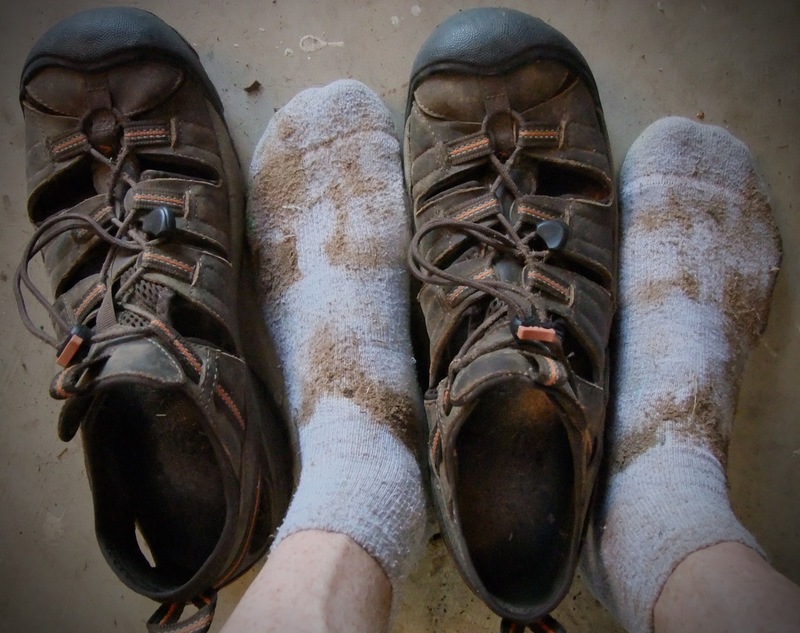 “I haven’t been this worn out or this filthy since last fall!” I told my wife. Normally in the spring, I pick the weakest shoes in my closet, the ones I don’t love, and make them my summer gardening and working outside shoes. This pair, it happens, are Keen closed-tip sandals, and I am discovering early that this layout lets in a lot of dirt. This is the tiller with the odd shutdown issues. Whem it runs, though, it gets the job done. It’s a known truth that some muscle groups remain unused until you use them; tennis muscles, swimming muscles, and, as in the last couple of days, tilling muscles. 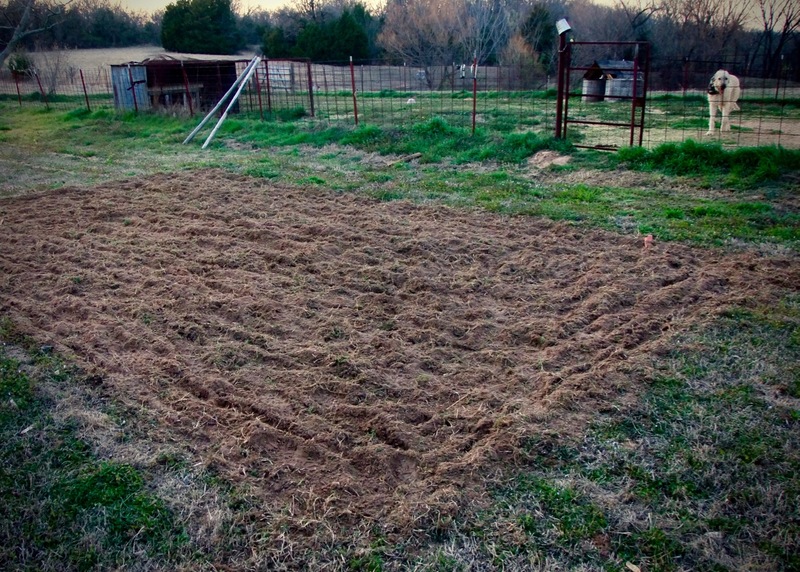 However, tonight was my second night of tilling an area larger that my last garden. Abby and I are both eager to get even more fresh food out of the patch than in recent years. I am especially interested in more room for melons, particularly cantaloupes. 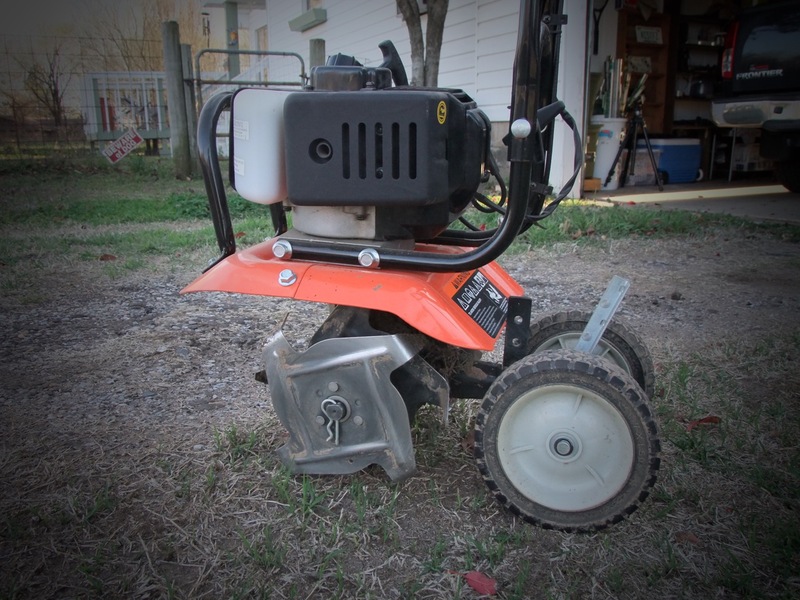 If anyone can solve this little mystery for me, chime in: my 2-stroke, small engine tiller starts without much fuss, runs well for a while, then suddenly, with no indication at all, shuts down, and cannot be restarted until the engine has cooled to room temperature. So my tilling muscles are worked to the limit – I can barely make a fist or hold a cup of water. I know I’ll be okay in the morning, though. Yesterday evening and this evening, I managed to triple-till a right-size area of land near my peach trees, with Hawken the Irish Wolfhound keeping a close eye on me. 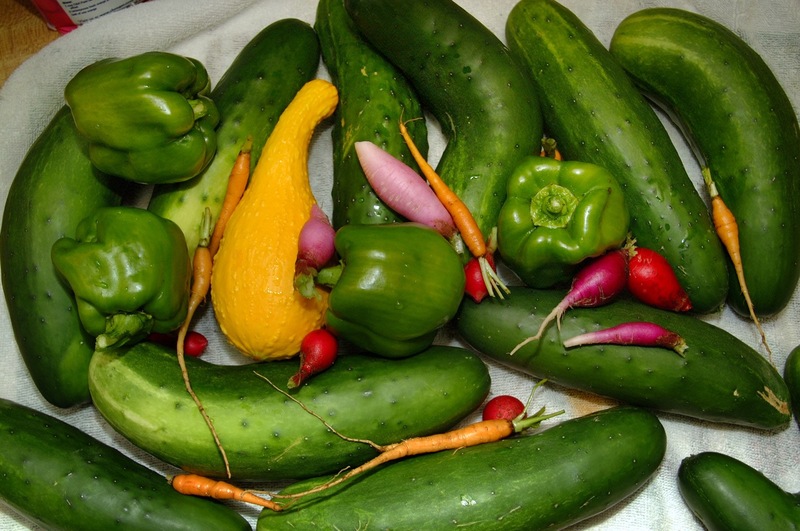 Fruits and vegetables like these all summer are the payoff for the very hard work and devotion of spring gardening. Painting muscles are the ones I’ve been feeling lately… It’s weird how it uses a set of muscles that are normally inactive. Someone should make an exercise video based on these activities — painting, picking up litter, tilling, vacuuming, scrubbing baseboards, etc. That type of sandal is what I always use for gardening despite the dirt stripe invasion. And oh yes, the muscle soreness unique to breaking first sod! I feel it right at that place your neck stops being your neck and starts being your back. I see your carrots were puny too. I’ve never been able to grow a good carrot. We’ve got tomatoes, crowder peas, bell pepper, squash, and cucumber going, along with 6 or 7 different cooking herbs. Down here we start in February. The engine issue sounds like vapor-lock.